This is not an interview where I ask someone else questions. Instead, Pat Flynn, the founder of Smart Passive Income interviewed me for his podcast. I thought the questions he asked me about my interview process were interesting so I asked him if I could publish our conversation. 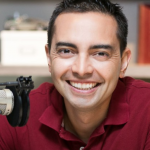 Pat Flynn is the founder of Smart Passive Income, podcasts, tutorials, videos, and other how-to articles on growing your business. I mean, I’m serious, I realized you don’t get a lot of emails like this from listeners often but this question just kept coming up to me as I was listening to your episode of Pat’s interview especially at the end. And he goes on again for a long time, so let me answer that question for Scott and anyone else who’s about to listen to this interview and wonder why does Andrew not think that he’s good enough. I’m going to tell you, the beauty and the pain of being me is that I really do feel that I’m capable of doing great things and I love when I get to push myself a little bit further and when I get to achieve more than I thought I could do and the more I could do the better I feel. I feel like a superman, really, to be honest with you. I feel like I can do superhuman things and at the same time, I feel like I’m constantly falling short of my full potential. And so I think that’s what Scott’s picking up on and maybe that’s what you’re going to pick up on or maybe you’re going to discover some other aspect of me through this interview. I usually ask questions, this time I’m being asked questions myself and this interview is being brought to you by two phenomenal companies. The first is the company that will host your website right, it is called HostGator, and the second is a company that will help you hire your next phenomenal developer or finance adviser, it’s called Toptal. But I’m probably going to interrupt this interview at some point in the middle to tell you about those two sponsors. Now let’s jump into my conversation with Pat Flynn. Pat: Mr. Andrew Warner, thank you so much for coming on the SPI Podcast today. How are you doing? Andrew: I’m doing great. Thanks for having me here. Pat: I’m excited and a little nervous because, I don’t know if you know this, but when I was interviewed on your show, Mixergy, it was probably the most nervous I’ve ever been in my life, besides the moment when I asked my wife to marry me. Andrew: Really? No, I didn’t know that. And then I hit you with one of the most challenging questions and most personally potentially hurtful questions I’ve ever asked anyone. Pat: And I hope that I was able to respond in a way that was smart for who I was and my brand. I love that you challenged me, and it today it’s still the most favorite interview I’ve ever done because you asked those kinds of questions. And so I definitely want to dive into, especially for all the podcasters in the audience right now, and even if you’re not a podcaster and you’re listening, I want you to pay attention to how Andrew approaches his job and his work and how he approaches these conversations that he has with people to get the golden information from them for everybody’s benefit and we’ll talk about the business that you’ve created as well, but I’d love to start in the beginning like before Mixergy, before you started interviewing other entrepreneurs, what were you doing and who were you at that time? Andrew: You know, I’m going to go back a little bit further because I’ll be honest with you, I’m a little intimidated about being on with you because every detail of everything you touch is so neatly, perfectly organized like even the fact that you did this 10-year anniversary show about being let go. The music stopped at the key point where you were going to make a statement. And it stopped and there was no music as you talked, and then it picked back up in tempo later when you announced that you were doing this Kickstarter campaign. Like all those little details you take into account, and I’m not a detail-oriented person. In my conversations, what I try to do is like tap into my heart. What do I feel at the moment? Tap actually into my fear, what am I afraid of in the moment, and let that out. And so, considering how organized you are, I said, “Am I even going to be able to survive this? What is this about?” It’s so weird that my brain goes like that. So here’s what I did. I went to my second monitor, my second computer, and I brought up this Evernote folder that I have full of everything that I had on my wall growing up as a kid. I hired somebody to come in and take all the stuff that was on my wall and all the little keepsakes that I kept and scan them in so that I could always have them. And I’m looking at it to just reconnect with who I was so that I could be genuine with you. Andrew: And what I see is like old “Businessweek” magazine cover stories, articles about NeXT, the computer company from back then, TV shows about successful people like Teddy Roosevelt. That’s who I was as a kid. I grew up in New York and it’s okay to aspire to do something big in New York, and so I aspired. There was a part of me also that internally wanted to. And so I’d read about all these people growing up as a kid, and one thing that just happened to flash on my screen right now was a spreadsheet that I created in Microsoft Excel with the little products that my brother and I sold. And you can see for the first few months there was no revenue, no revenue, and then it picks up, and I had that up on my wall. That’s who I was before I started interviewing, this guy who just aspired to do something as big as all these people that I admired. Pat: Well, a lot of kids have a lot of ambitions, and many times we talk to kids and they want to be a baseball player, firefighter, an astronaut. Why business? Andrew: I think it’s okay to aspire to be that because if you walk into a store there’s a t-shirt that’s going to sell. I just dropped my kid off yesterday at school, I saw so many Batman t-shirts and Superman t-shirts. It’s okay to aspire to be that. Our society encourages you to do that. I think there are a lot of people who say, “Hey, I saw that 11-year-old selling lemonade on the corner. How do I get to do that?” I think there are a lot of people who want that. I think there are a lot of people who see these big buildings, who see Elon Musk, who see you driving in a Tesla and say, “Who made that Tesla? I like that he’s driving a Tesla. How did he get to earn that Tesla?” and we just don’t encourage that. And I felt in a very real way at the time that nobody encouraged it, nobody cared about it. Pat: That business that you had with your brother, what were you selling? Andrew: So the first one, the one that I had up here, was we just created a bunch of little apps. One was a spell check app before there was universal spell check on a computer. The other one was something called EZPone, E-Z and then P-O-N-E, that before Skype allowed you to make calls to each other. And as I look at that, I see I’m very proud of the fact that we hit $40,000 in monthly sales there with those little products. And then that . . .
Pat: How old were you? Andrew: This was like, twenty. Andrew: Twenty-one, actually. It was right after school. But I also see everything about who I am in that chart. I see the excitement over the success. I see the ambition to see those charts go up. But I also see my personal limitation, that in that we created EZPone, I was very proud that that and those other products sold $40,000 a month. I would have been really excited, and I envisioned getting to $80,000 a month. What I didn’t say was, could this be the next or not the next Skype, could this replace the phone company? Could this actually be the next new thing? One of the things I’ve learned living in San Francisco is we always make fun of people who live here for every little thing they do is going to change the world. Every little thing they do is not just a little thing, it’s something revolutionary. There’s something to be said about that that I wish that I had had the eyes at the time to see bigger and I’m trying to do that, and I think San Francisco’s bringing that out of me. Pat: That’s really interesting. Do you feel that reflects certain questions that you ask people who come on your show? It very much reminds me of the question you had asked me about, “Hey, Pat, you’re doing all these little niche sites and security guard training sites like why not create the next Excel?” is what you had asked me, which kind of aligns with what you just mentioned there. Is there a reason why you think you didn’t think bigger back then and we should all think that big? Andrew: I think I didn’t think bigger because I imagined that everything has to just kind of work its way up. I remember saying, “I’m going to be the person who by 40 is going to have $1 million, not by 25.” Like this idea that I’m not going to get rich overnight, it’s going to happen over time. I had this vision that eventually I would change the world. And I actually think that one of the things I’ve learned from San Francisco is forget the eventually just say, “Yes, I’m going to change the world,” and let the world make fun of you for being one of those guys, and I do wish I had that. Pat: Now, how did you transition from apps and programs like that to what you do now? And you have become known as one of the top interviewers and in my eyes the top interviewer. I love listening to your show because I always know I’m going to get something different, and I always know that I’m going to get the truth. Another interesting thing that I am reminded of just now is two of my friends from high school, I won’t mention their names right now, but people could probably go and dig in and find this interview. They were featured on Mixergy for their app company. It was just, sorry guys if you’re listening to this, but one of the most cringe-worthy episodes I’ve ever listened to because you were able to dig in and realize that these were just two dudes who were just kind of scrappily putting things together. They didn’t even really know exactly how things were going. And I was reading the comments and I was like trying to defend them. And I was like, “No, these are my friends.” But then I was like, “You know what, like Andrew brought the truth out and the truth is these guys, they figured out a way to make money, and they had really no idea like how it all happened and where they’re going to go.” Do you remember that interview? Andrew: I think I do. I think I have a sense of who they are and they ended up doing okay for themselves . . .
Andrew: . . . if I’m thinking of the same people, right? Pat: Yeah, absolutely. I mean, they’re still doing very well in the app industry, which is very, very competitive now. But what I’m getting at is you have this way of uncovering in these interviews some of the most important information that we can all learn from. And how did you become such a great interviewer? Like where is that coming from? Is that a skill that we can all learn, or is that unique to you? Andrew: I hired somebody to watch my interviews. I’ll tell you like I didn’t know where this came from. And I actually for a long time was beating myself up for the reason that this worked. I thought it was a flaw of mine. I hired someone to go through the transcripts of each week’s interview and give me feedback point by point, and I created this like Google Doc of all the things that I learned from him. He said, “Give me a minute.” I said, “I just like poured my heart out, you need a minute? Can you just say something?” He said, “Give me a minute.” And he just kept going through the transcript. And so, the answer is that that I just really want to get to know the entrepreneur. I really want to get to know beyond the BS. I really do admire the people who I have on. And I think that by being vulnerable, I get to do that. And the start of the podcast was this post that I did, and anyone can see it, Mixergy.com/i-failed, like I failed, where I said “I poured money into this invitation site and it didn’t work and I admit failure and I’ve got to close it down so I can just start fresh, and I’m just going to interview people to understand how to never fail like this again.” And that was the mission, to see what they’re really doing. And at this point in the interview Ari, our editor is cutting in so that I can tell you about our first sponsor. It’s a company called Toptal. I often tell you guys about how Toptal is a great place to hire developers. I want to keep emphasizing though that if you need some finance advice like a CFO, a profitability consultant, somebody to help you put together a slide deck presentation for your investors, whatever it is that you would ordinarily go to a top finance person, well, you could do what I did. I went to Toptal and I hired that person. See, I’ve constantly been worried about and focused on how do we increase our revenue and then I hired this guy, Jack, from Toptal and as he was going through my finances on a weekly and actually then monthly basis, one of the things that he helped me realized was that I was not paying enough attention to my expenses. And he’s a guy who had worked with some top companies, I mean he was a management consultant for a long time and so he was able to tell me what works for those bigger businesses. And I did it and the truth is the biggest expense was, what, a hundred, a few hundred dollars, not that much. In a company that does tens of thousands of dollars in expenses every month, a few hundred is not that much. But here’s what it did, it created a culture of thrift, a culture of paying attention to expenses and now when I go into our internal software to see how we’re all chatting, I could see people talk about how they’re saving money for their company. And so that’s one of many things that Jack has done for me. If you’re looking for an outside finance adviser, I really highly recommend that you go to toptal.com/mixergy. When you do it they’re going to give you an offer that they don’t give anyone else and they’ll help you find that person to again help you fix your finances, help you think about the future opportunities, help you put together a deck for investors, etc. all you have to do is go to toptal.com/mixergy. That’s top as in top of your head, tal as in talent, toptal.com/mixergy. All right, let’s get back into the conversation. Pat: Who was your first interview? Do you remember? Andrew: The very first interview was a guy named Michael Dorausch who happened to come to an event that I did. And he was a chiropractor who was just killing it in SEO. In the SEO world, people knew about him back when people didn’t even care that search engine optimization, SEO, was a thing. And I said, “If everyone knew who was coming to my events,” because I was organizing events using my invitation software, “they’d want to come to my events. They’d want to organize events. They’d want to get to know people.” So I interviewed him, I liked it, and then I just kept interviewing other people. But in the interview, I got to ask Rosalind about how she started and I got to ask her about how she built up and how she figured out her business model. At the end of it, I remember Olivia and I were still dating and she happened to be in my house at the time. I said, “Olivia, I . . . ” No, I called her because I was so excited. I said, “Olivia, I know what I want to do with the rest of my life.” I just loved that I got to understand all this about a woman who I had known for years. Pat: That’s so cool. How do you have the courage to ask certain questions that many other people wouldn’t dare ask? I think this is why many people come to you when they want to listen to other entrepreneurs and their stories because you feel . . . I don’t know if you’re comfortable, but it seems like you’re comfortable asking those kinds of questions where, even with me, I worry about a response a person might have if I were to kind of poke a little bit further than, you know, I should. Andrew: I tell the guest my reason and I get buy-in ahead of time. So throughout the interviews, you can see that I say, “I want to understand how you failed because sometimes I feel like a failure, and I can’t snap out of it. I want to understand how big this business got because I want to know how big a business like that can get.” I tell them the reason and I give the answer. We all know about the Robert Cialdini book, “Influence” where he talks about how someone cut in line in the copier by saying, “I need to cut in line because . . . ” whatever, and if you say the reason, people are more likely to give it to you. The thing that I discovered was . . . I read baby books after we had our first child about four years ago and in some of them they say even if the kid is a year, even if they’re a year and a half, just tell them the reason. And I said this to my wife and my wife is very into like . . . she’ll read a book and she’ll actually implement it. And to a kid who can’t speak, it feels like a silly thing to do, but she was fully bought in and she did it and sure enough, he went to sleep and I saw this multiple times. And so when you give someone the reason, they’re more likely to do that, to go along. Pat: I love that. You know, and having two kids myself, I’ve heard that same advice as well and my wife, April, and I, we implement that too. There’s always a reason, right? My wife and I, you know, coming from very traditional Asian parents, we were always told no but not the reason behind it, just “Don’t do that,” or “That’s bad for you.” There’s no reason ever. And so we always felt a little resentment as a result versus if there’s clear logic and a reason behind it, and I love that. So giving the person, the guest on the other end, a reason for why you were asking those kinds of questions, you can’t really kind of counter that if there’s an actual reason that makes sense. Andrew: It’s really meaningful and it doesn’t have to be more than a sentence. I used to listen to Charlie Rose, and he used to be so long-winded that Saturday Night Live had this sketch about how he could never get the answer out. Eventually, the guest would say, “Get the question out already.” Anyway, eventually he got so good and I listened to see why he did it because I was a bad conversationalist. I could just find myself rambling in conversation. And what I noticed was some of his best questions, he’d repeat over and over, and they would be one or three words. Like my favorite one was “because?” And he would just say “because” like that and he would have the discipline to just leave it at that. Pat: I remember that. Yeah. Andrew: And then I launched into it and you actually said, “I trust you.” And I know that that’s a big trust and I know that that’s important. And so when you came on, the first question I said to you . . . the first thing I brought up was I said, “I didn’t have you on because passive income just felt so phony to me. It felt like, ‘I’m going to show you how to make money while you sleep,’ and in reality, anyone who cares about making money while they sleep doesn’t have the heart to do the work while they’re awake.” Then it was only through time that I got to know what you were about and I had tremendous respect and I felt that I was wrong in doing it. But I wanted to bring up the Passive Income name. I wanted to understand that. So I brought that up. Pat: And I’m very thankful you did that because it made me realize that that was likely how other people perceived me and the brand as well. So that really brought it to light, and, you know, we’ve become good friends ever since and we’ve hung out at conferences and whatnot together and you’re one of my favorite people. You always bring up this fact that, this is just random, that I have this like, organizer in my backpack and you needed a cord one day and for whatever reason that just impressed you that I had this really quick capability to give you the cord you needed because I don’t know, I’m just kind of a nerd like that, but . . .
Andrew: Let’s not brush over that. I was at Podcast Movement, a conference that was really well organized, and I went up to the stage and they didn’t have my cable because they didn’t have cables. I asked you, “Do you have the cable that will connect my computer to the presentation?” And not only did you have it, where they didn’t, but you had an organizer with every potential cable to connect in so there was no doubt that you’d be okay. And you also added one other thing. You said, “Andrew, you can keep it.” So it was organization that you can see the difference between the two of us. I just walked in expecting that they were going to have it set up. I knew that I could have something delivered the next day for my presentation if I needed to, but that’s the way I operate. What I admire about you was you had the organizer and it’s not just that. I’ve invited you to dinners at events before you speak. You say, “I’m going to go back to my room and I’m going to prepare.” It’s like, the level of detail and care is tremendous. Pat: Thank you. I think a lot of that comes because I am a little bit scared and nervous about things. I want to make sure that I set myself up for success and stack as many things in my favor as possible, which is why that organizer’s there, right? Like I don’t want to give myself a chance to not have something, you know, I want to have as much control over the situation as possible, basically is what I’m trying to say. Well, going back to the interviewing, I’ve learned a lot of strategies and tips from you that I’ve implemented onto this show, and one of those is the idea of a) listening, and b) following up. Being very genuinely curious about the why, just like the example you’d mentioned earlier, and you throw in the why, plus the reason, which I think is genius. But a lot of interviewers, especially people who are just starting out, want to go question to question to question to question without the in-between questions, and that’s something I learned from you. How do you know what follow-up questions to ask next? I think “why” and like “how come” are kind of just universal follow-up questions, but you seem to, in your interview, know exactly what the audience is thinking, and you just seem to ask the same questions that I’m thinking. Andrew: Here’s why. Let me show you something. Give me a sec. I’m not going very far. Pat: For those of you listening, Andrew just left the room and now he’s back. Andrew: I just went behind the computer. Do you know this book? Pat: Dale Carnegie, “How to Win Friends & Influence People” let me show you on my screen here. For those of you listening . . .
Andrew: You got it there. Pat: . . . I’m throwing up the same book. Andrew: There’s the original cover. I think that’s the original cover. Andrew: I was really bad at communicating with people because I kept reading about these people who were jerks, right? Guys like Sumner Redstone, Steve Jobs, was on my wall growing up. They were just jerks and so I thought that’s the way you have to be, and if you want to be a jerk, it’s easy. Understanding how to talk to people and getting them to care is hard. And so I couldn’t get a job. Once I did finally get a job, it was an internship because I couldn’t tell the person that I needed to get paid and I needed money at that point in my life, and then once I got that job, I couldn’t do anything. I remember she invited me . . . Stephanie Winston invited me to breakfast and I sat there at breakfast and she said, “What you need to do now is schmooze the other people at breakfast because we have to get them as clients.” And I didn’t know how to schmooze them. I’m a fast eater usually. I sat there and I slowly cut my eggs and slowly kept looking down. And if anyone asked me a question, I answered it very quickly and quietly and then I went back to looking at my eggs. And the next day I said to her, “Okay, what do we have next?” And she said, “I think you’re actually not the person who I want to waste your time with breakfast. Instead, can you make me some copies?” And I thought, “This is a problem,” right? I’m never going to get great opportunities. And I watched these idiots who didn’t care about work go and get better and better jobs because they knew how to hang out. So I got this book, “How to Win Friends & Influence People.” It taught me how to have conversations with people. It got me other jobs that were really helpful. And then I remember talking to my friend, Michael, from college, and I used everything I learned in this book. It’s like, be interested in other people. If you want to be interesting, be interested, so I listened to him, and he went on and on about how he had these comic books and how he made breakfast and how he loved cooking food really great. And I thought this was like a win in the Dale Carnegie world, because Dale Carnegie says “express an interest,” and I did. And this person obviously liked me because I’d let him talk about his breakfast that he loves to cook. But I didn’t like me, and I didn’t like the conversation. I was bored. And I said, “You know what, the other thing I need to do is ask myself, what am I genuinely interested in about that person? What is it that I really care about? And I tried to walk into every conversation with that. And so one of the things that I asked you was, I think . . . I don’t remember, it was something along, it always will sound artificial unless it’s genuinely the thing, but it might have been something like, “How did someone who looks so dark have a name like Flynn?” That’s not what I was saying, but it was something about your heritage and about your name that was I genuinely curious about at dinner. And when I tap into what I’m genuinely curious about, it’s hard for me not to have follow-up questions. When I come to you about asking you about your family to understand my family and my kid relationships, it’s hard for me not to have a follow-up question. So I try to tap into, what am I genuinely interested in and what do I really care about. Pat: My dad being Irish, and my mom being Filipino, that’s the darkness and the Flynn. But anyway, so how much preparation do you do before an interview to unlock that genuine curiosity? There’s two sides of the coin, right? There’s people who will read the books of the authors who are coming on and they will study them and they will listen to the other interviews that they’ve been on so that they can bring something new to the table, versus in my camp, I don’t do a ton of research, because I don’t want to be more advanced than what my audience is when they’re sitting and listening to the podcast, so that I can better fill their shoes. Where do you land on that spectrum? Andrew: I land in as much research as I possibly could, and as much internal understanding, as much introspection as I can. I got so good at doing research and having a good research team that I stopped caring about what I care about, and that made the interviews thorough but not as meaningful. So anyway, I called up people and said, “Hey, this is going to be left behind forever. Can we just go over some of the questions that I’m going to ask you?” And then what I would do was it gave me an opportunity if the answer was boring to say, “Hang on, let’s cut it right there because . . . ” Now it’s not being saved forever with me interrupting. And so I would do that a lot with people and then I would guide them to stories because stories are what interest people. You’re never going to remember the point that I said about care about what you’re interested in in addition to what other people are interested in, but you will remember my story about the guy who told me about eggs and was excited to tell me about his comic book collection that I wasn’t. And through that, the message of care about yourself too and what you’re genuinely interested in will come through. And he challenged me, and I said, “You know what, one of the things I believe in is starting really badly and improving.” So I made a list of 10 questions that I would want to know and I gave it to someone else and I said, “Can you go and ask my guest this?” And they started asking those questions and they were good. And then I start to sharpen them and say, “Guide them towards questions. And here’s a way to do that, and excuse me, guide them towards stories, and here’s a way to do that.” And we ended up with a good pre-interview process. So here’s what happened recently though. We had Scott Svenson. Most people listening are not going to know who Scott Svenson is, but he’s the guy who created a company called Seattle Coffee in the UK. He built it up. Within three years, he sold it for, I think over $100 million to Starbucks. Then Starbucks used that as a foundation for Starbucks in Europe. He became so well-known, him and his wife, that they were celebrities in the UK. And then he came to the U.S. where he stated MOD Pizza, and MOD Pizza is an incredible success story of make your own pizza. Let me see, what is it . . .
You know what, I won’t have the exact numbers, but he’s doing tens of millions of dollars with these businesses, with MOD Pizza. The fact that he’s a celebrity though, means that my pre-interviewer asked questions that we could’ve researched, not in the U.S., nobody would know him in the U.S., but go into the UK papers. So what I said we need to do was, “Let’s find someone to do research for the pre-interviewer so this never happens again. I never want to waste the next guy’s time like Scott by asking questions that were online.” So now we take a list of questions. We give them to Fancy Hands, and for $6.00 per, they will fill in our basic questions. So the pre-interviewer has the basics and doesn’t have to go and ask the same thing over again. So that’s the way that I work. Now, that got so good that I was full of research, full of information, and the problem was nobody cares about research. That’s not where you get the heart of the interview. That’s not why you care about like why you like my interviews. You didn’t like my interviews because I researched the name of your high school band, right? You liked my interview because I genuinely cared about what I was into. And so I’ve been reminding myself of that and trying to tap into that in every interview lately. All right, I’m going to break into this conversation one more time to tell you about my second sponsor, a company called HostGator. And within this ad, I’ve got to tell you that I’m on Pat Flynn’s website and I’m looking at his past 12 months revenue. He did $2,171,652 over the last 12 months. And what does he have? A simple WordPress site and it just goes to show, if you’ve got something to say, something to teach, it’s easy at this point to get it up and running. And if you think about it right, if you think about teaching on an ongoing basis, building up your audience, and occasionally selling to them, you can really build a phenomenal company. That’s what Pat’s done, that’s what I did here at Mixergy. Mixergy is simply run out of WordPress site, whatever your idea is, whatever topic you want to teach, bring it top HostGator. When you go to hostgator.com/mixergy you’ll be able to with one click install WordPress the same tool that Pat and I both use to run our website and then you could just experiment with your ideas. 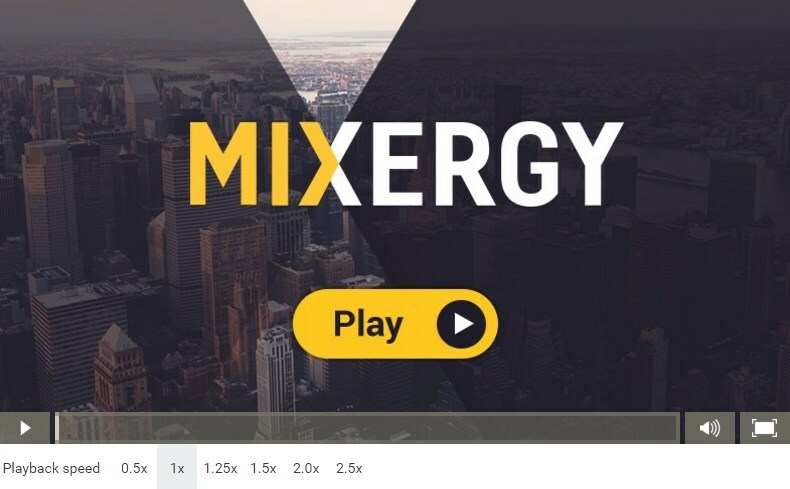 Mixergy didn’t start as an interview site, it started as an invitation site. And then it adjusted and adjusted. When you have that easy to create a plan you could just keep creating and adjusting until you hit your groove. For me it’s with Mixergy, the interview site, for Pat it’s with SmartPassiveIncome, the site where he teaches people how to create smart passive income for themselves, and for you, it’s going to be, I don’t know what. But if you go to hostgator.com/mixergy right now, you’ll get a super low price so you can get started right away and give yourself the opportunity to just experiment. Don’t even publish and show it to anyone just do it for yourself. And then adjust and adjust and adjust and before you know it you’re going to get to a phenomenal company. Hostgator.com/mixergy, and frankly if you fail, it only cost a few bucks a month to be with HostGator. You got nothing, almost nothing, you have very little to lose and so much to gain if you just start publishing right now. Hostgator.com/mixergy and congratulations to Pat on over $2 million in revenue in the last 12 months. All right, let’s cut back into the interview. Pat: Do you follow the same motive with who you have on the show? Just who is most interesting at the time to you, who you’re most curious about, or do you have another way to pre-select who’s going to be on your show? And so one of the things that she’s doing is telling me no. Same thing with guests, I have to say to my people, “Please, tell me no.” Because once you get the heart of Dale Carnegie, of being curious about other people, and then you say, “What do I really care about?” how do you not care about everyone? Pat: That’s true. Megan is great, by the way. We’ve been talking to schedule this interview. She’s fantastic. Pat: When it comes to getting people on your show, your show is popular enough now where you can just say, “Hey, I’d love to have you on the show.” Most people are going to say yes if they’re smart and the schedules align, obviously. For those who are just starting out, brand new podcasters, they worry about people even giving them the light of day for their brand new show that has very little audience size. What tips might you recommend for those who are just starting out in the interviewing scene, in terms of who to select and how to get a person to say yes to come on the show? Andrew: First of all, I would say that you absolutely should be doing interviews. I think that there’s a sense that, “I shouldn’t be doing interviews. Everyone’s doing interviews.” I’ll tell you what, the benefits of doing interviews are, first of all, you get to learn from someone else while you’re doing the work. Second, you don’t have to be the expert. Third, you coach ideas out of people that they couldn’t come up with on their own because you’re genuinely curious about them, and finally, the rubbing off factor. I was listening to a conservative talk show host do a podcast, and he’s a firebrand, firebrand, firebrand. And then he interviewed someone who was on the polar opposite of him. I thought, “Huh.” Because he’s interviewing someone who’s considered a libertarian or, not a libertarian, but someone who’s like anti-god, this guy is pro-god. Because he interviewed someone who is an atheist, I felt like, “Oh. This guy is sitting down with him. He’s not such a crazy conservative. We’re fine. I could listen to him more.” Anyways, so there’s a benefit to that. Pat: You’re not interviewing the owner of that blog or publication. You’re interviewing somebody else and capitalizing on that. Andrew: Yeah, I’ll be more concrete. I didn’t think I could get Seth Godin, so I went to Mashable and I said, “Hey, if I get Seth Godin to talk about all the different ways you can do well even though the economy is bad, would you be okay with that?” And they said, “Seth Godin? He can talk about anything. Absolutely, go for it.” And I went to Seth Godin and I said to him, “Seth, can I interview you about the seven ways that people can do well in a bad economy? I’ll publish that answer on Mashable. And since we’re recording it, I’ll also publish the recording on my podcast.” And he said, “Yeah, absolutely.” So we recorded it, and it gave me some guidance for what to talk about and what to pull out. And then it gave me some guidance for how to turn that into a blog post for Mashable and then it gave me a recording that I was able to put on my site. Pat: That’s genius. I love that. I think we all know we need to when we’re asking for something, provide value in some way. I think a lot of beginners don’t feel like they have value to give, but I love that sort of marrying of those two pieces together to create value for both sides, actually. You become a connector, which is fantastic. What are some of the most memorable interviews that you’ve had and why? And the reason that that matters to me is not so much that part, but later what he did was he created a company called 1heart, where it’s all about how entrepreneurs should tap into their emotion and tap into their happiness. The truth is, Pat, I’ve really been wrestling with this. For most of my life, I believed that I shouldn’t be happy, that happiness was actually . . . that I shouldn’t optimize for happiness, that optimizing for happiness means there are times when I’m so exhausted, to go back and work after that is tough. That’s not making me happy in the moment, but I’m optimizing for long-term success. I said, “Barry, after my kids are asleep, even if they splash water out of the bathtub when I tell them not to, even if they scream forever that they don’t want to sleep before they finally go to sleep, even if they throw the food on the floor and I have to pick it up because I couldn’t get them to clean it up, after they go to sleep, I look at photos from the day because I still love them, instead of saying, “I want to forget I’m a dad for a little bit.” I say, after that, I might look at my portfolio to see how I’m doing with my Merrill Lynch account, and that brings me happiness also to see that my stocks are up and my account is big.” And so I like that I got to talk to him about that. I like that I get to bring this genuine feeling up and then hear from him. What’s the alternative? Pat: I love that. Now, you’d mentioned earlier when you were bringing up Barry, you said, you know, you really love this interview because it got you back to what you really cared about. What do you mean by that? Andrew: The research was good, the heart was even stronger. The part where it was, “What do I genuinely care about?” was I think stronger than our research. Now my research was good. He said that he was on this website. I went back and found it. He said his website was doing this. I went back and I looked at it. Everything that I could, I went back and I researched. And there were a bunch of stuff that he said he did that I couldn’t find and I brought it up to him. And so that was good, but I got back to asking what I really care about. I got back to figuring out the meaning of life as an entrepreneur and it wasn’t just through this interview, but that’s representative of how I did that. Pat: A lot of entrepreneurs, we lose the why behind what we do, or we kind of forget why we started in the first place. It sounds like, that in order to get back to it means you had to have lost it at one point. Why do you think that was removed at one point? Andrew: You know what it is, Pat? I’m someone who genuinely wants to make a lot of money, wants to have a lot of impact, wants to have ideas that outlive him, and I work so hard for it, like all the time. And I’m not as successful as Sumner Redstone. Sumner Redstone’s the guy who took Viacom from a nothing company and made himself a billionaire and made that into a multi-billion dollar company that eventually owned CBS and others and I just happened to see him in the clippings and stuff on my wall. And I say, “Is it worth it?” I sacrifice so much of myself. Is it worth it to have sacrificed it for this? And if I didn’t get there at this point in my life, what do I want? Where is the answer for me? Am I still going through the plays that I wrote when I was a kid with those pictures up on my wall? Is it worth it, or am I just like part of me thinks I’m the guy who lived that cliché about if you reach for the stars, you might . . . If you reach for the . . . What was it? Reach for the . . .
Pat: Stars, at least you might hit the moon or something like that. Andrew: Yeah, or reach for the moon, you might hit the stars. Yeah, right. Reach for the stars, you might hit the moon. I did that, but is that worth it? Is that really the better way to approach life? I don’t know. I don’t know. I’m at a point where I’m going through and trying to figure that out. And I don’t have to figure it out by myself. I can get to ask other people about it and see where they are and not just in interviews, but because of my interviews, I’ve gotten to know people like Ryan Holiday. I remember I went for a run with him when I was in Austin. One of the things he said was, “People keep telling you to think back to who you were as a kid and what did your kid self-want.” He goes, “What topic in life would you go to a kid and ask for life advice on? Kids don’t know jack, including you, so why would you want to do that?” I thought that was pretty interesting, but I do think I knew a lot. I actually think I took a big bet. I didn’t lose at all. I did well, but I didn’t become a billionaire and there’s a part of me that’s like dealing with that. Pat: Well, you’re helping a lot of us, and I want to thank you for that. Andrew: I don’t feel that I am. I don’t feel like I’m doing enough of it. Like will people remember me the way they remember Dale Carnegie? No, and that bothers me. I’m feeling like I’m going to keep pushing myself to keep trying this, to reach that level of impact, but will I get it? I don’t know, and will I be okay if I don’t get it, or am I going to feel like it’s been a wasted life and do I want to risk wasting my life? I don’t know. Pat: That’s the question. Do you have to be the next Dale Carnegie? Andrew: Do I have to? You know what? The truth is there’s a part of me that still wants to. There’s a part of me that, even though I’m wrestling with this question, in my heart of hearts I think, “No.” What you’re looking for is an excuse to get back to who you really are, which is yes, you do want to be remembered long after you die. Yes, you do want to have more money. No matter how much you have, you want to have more of it. Yes, you do care about those things. Pat: Thank you for being open and honest about all this. The last question I want to ask you, which I’ve always wanted to ask you, is we all listen to you, and if you aren’t listening to Andrew, go check out Mixergy, obviously, and we’ll have all the links in the show notes and whatnot. But who are you listening to? Who are you pulling inspiration from these days? Andrew: I go through a very eclectic . . . I try to listen to as many voices as I can, as many different types of podcasts as I can. I have no interest in politics, but there was some conservative guy . . . how do I even find him? I guess I listened . . . there he is. His name is, he’s very polarizing, so people are going to hate me for even saying it. What is his name? Ben Shapiro. Very conservative, but then I also listen to, on the other side, I listen to Pod Save America, very liberal. I listen to podcasts about tech. I listen to podcasts about sports, even though I hate sports. Pat: Why are you listening? Andrew: But if you’re looking for some recommendations, so what I try to do is just get as much variety as possible. We all live in a bubble that we claim Facebook and Google create for us, but the truth is we create our own bubble. We’re the ones who are just going through our own life doing the same thing, listening to the same stories over and over again. I try to vary that. If you want some business podcasts to recommend, I could suggest some for you. Pat: One or two would be fantastic. Andrew: Here’s actually one that I think no one’s going to recognize because . . . I just hit play on it by accident. Andrew: Business Wars. Business Wars, listen to the Netflix story on Business Wars, where you find out why Netflix beat Blockbuster. It’s interesting, and it’s a story that’s well told. Another one is 30 for 30 Podcasts. They did a really good series of episodes on Bikram yoga. And the reason I like the Bikram yoga, one is because it’s a guy who came in with an idea and he spread it. Then also, he came in with some stories that were lies and he spread those too. How does the truth, how do lies, how does a mission spread? Pat: Amazing. Andrew, I want to talk to you for like five hours, and I’m sure we will at one point sometime, the next time we meet each other and I don’t know if you’re going to be at Podcast Movement or not, but I’m sure we’ll see each other. For everybody listening, where should they go right now to dig deeper into what you have going on? Andrew: You know what I’d love to do is, I told you that when I talked to the interviewer, every time he taught me something, I’d add it to a Google Doc with a list of techniques for getting people to open up, having good conversations. I’d love to give it to people. If they go to mixergy.com/flynn, I will give it to them and they’ll get it from my chatbot. Pat: Wow. So deep inside the research of how you’ve become a better interviewer, right there? Andrew: It’s just a list of techniques that when somebody comes in and does a pre-interview for me, I say, “I know you think that people won’t talk to you because you’re not me. It’s techniques. It’s not me that does it. Here’s a list from a Google Doc that I used to keep up when I was doing interviews.” So mixergy.com/flynn, and I’ll give it to them there. Pat: Thanks, Andrew. Man, we appreciate you so much. Looking forward to sending people your way and I’m looking forward to seeing you again in person and hanging out again. Andrew: hanks a lot and thanks for having me on. Andrew: All right, and that’s the end of the interview. If you like this interview and want to hear more from Pat, his podcast is called SmartPassiveIncome and guess what, wherever you hear my podcast, you could probably get his too. And if you want to get more from my current sponsors, go check @currentsponsors, that sounds like they’re going to leave me. I hope they don’t leave me. They’ve been with me for years and years because so many of you have signed up for hosting with hostgator.com at hotsgator.com/mixergy and with Toptal at toptal.com/mixergy. Thanks so much for listening and I’ll see you in the next one. Bye.